The Rocky Mountain Bicycle Boys is a casual club for mountain bikers who love the thrill and camaraderie that comes from off-road riding with their friends. We especially enjoy exploring the endless miles of spectacular, scenic trails of Colorado's unique geography and history. Looking Forward to a Fun 2019! As we bid a very fond farewell to 2018, many of us are looking forward to even more fun and adventure in 2019. Many thanks to the trip sponsors and participants who made the past year such a memorable one. We started with great skiing at Steamboat Springs and Winter Park Ski Resorts. We then enjoyed weekend trips to some of our favorite haunts: Lake Pueblo, Moab, Durango, Winter Park, Grand Junction, and Vail. Hopefully, you were able to get in on the adventures. We're now enjoying the abundant snow up in the mountains! That said, the summer biking/hiking/rafting/camping season will soon follow. As a matter of fact, we already have some trips on the books! Keep checking back in case we add any trips or rides which may spark your interest, and get in touch with any trip sponsor quickly to put in your name. Our trips can fill up fast. We want to see you woo-hooing on a trip, not boo-hooing on the sidelines. If you have any trip/ride ideas or suggestions on how to better run your club or our website, please let us know at webmaster.rmbb@gmail.com. Remember: no one listens to your flapping clap trap or clapping flap trap better than the RMBB. Hmmm, I think that should be our new club motto. RMBB observes Independence Day with a return to one of our favorite destinations. 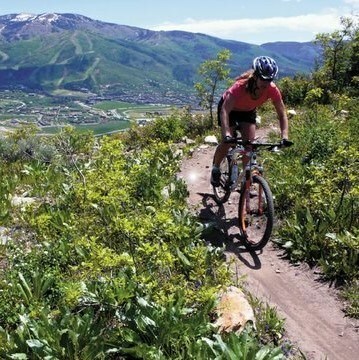 Trails in the Yampa Valley surrounding Steamboat Springs offer riding experiences as varied as the scenery. We'll stay four nights at a pair of spacious duplex homes. Accommodations are priced per bed: King suite - $880; twin bed, two-person room - $440; twin bed, three-person room - $400. Please contact RacerX29er@Gmail.com for more detailed information. 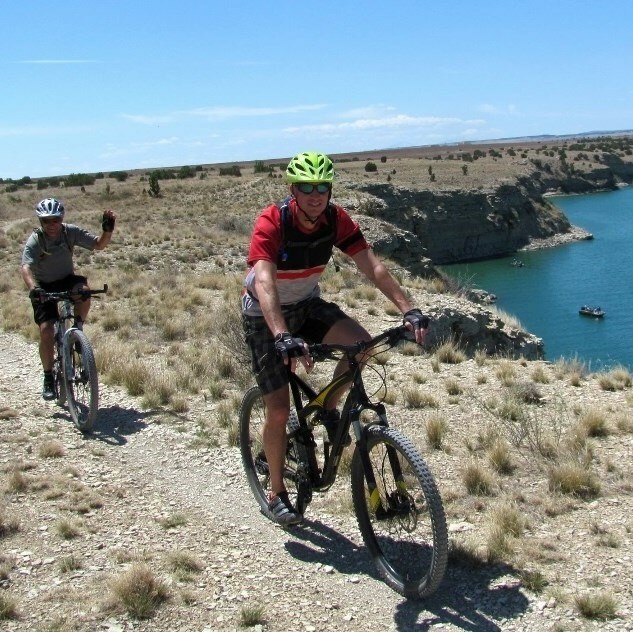 Let's kick off the bike season with a trip down south to hit the trails of Lake Pueblo State Park (nicknamed the "Fruita of the Front Range"). The Arkansas Point campground in Lake Pueblo State Park will be our base camp as we ride the vast network of the South Shores Trails in the State Park. Cost of $30 covers camp and club fees. We'll sample the local restaurants for dinners. Sorry, our camp sites are currently full, but we can reserve more sites if they're still available. Please contact calbiker@live.com if you're interested. Join the gang for another fun-packed weekend in the heart of Colorado. We'll stay in a nice vacation home in Buena Vista, as we explore some of the many exciting adventures to be had in the Arkansas River Valley. June's a great time for bikes, rafts, and boots as trails are dry, skies warm, and rivers fast! We'll plan on hitting the whitewater rapids that Friday with our friends from Wilderness Aware Rafting. Cost for three nights of lodging and some meals will range from $200 to $275/person depending on bedding arrangement. 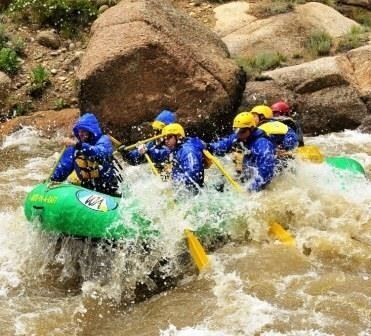 Whitewater rafting down the Narrows and Browns Canyon costs $118.59 extra. Sorry, the house has filled, but onsite camping options may be available. Please contact calbiker@live.com for more information or to get on the waiting list.